So I’m up to page 4 on the Millennials comic book which is what I’m using to brainstorm and story board for a movie I’ll be making for our teachers. It’s below if you’re interested. If you’d like the whole set click here. 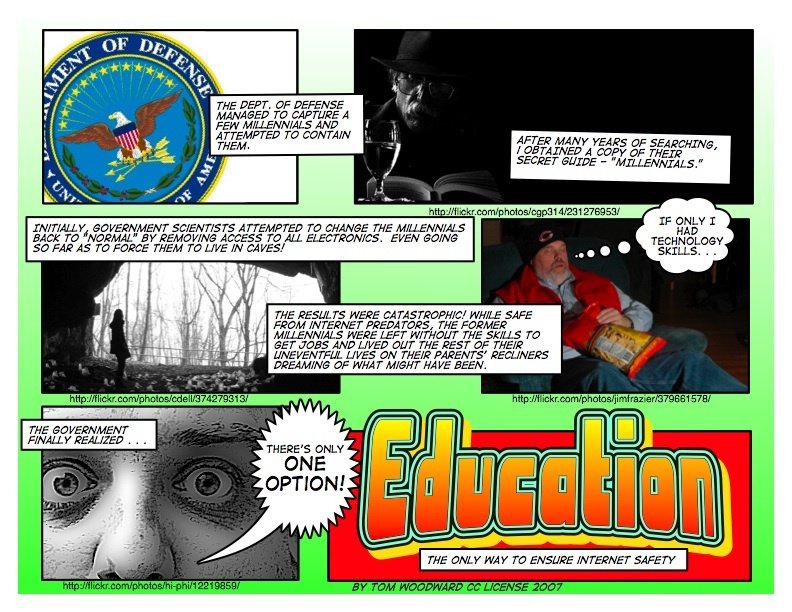 This the 101st post and page five of the ongoing Internet safety comic. Yeah for us! Not a bad start. Click to image get the full size. Download all of the pages here.